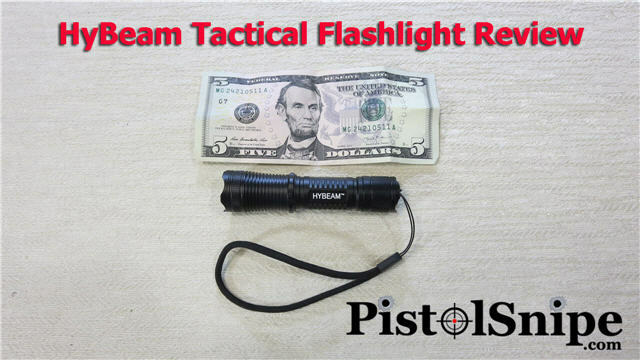 This was an email sent to subscribers to let them know how thrilled I am with the HyBeam Tactical Flashlight; even though it’s a free plus shipping offer, this is one that can be trusted! Once you are past 40? Heh, it falls into the category of “youth”! For me, I remember that day. And then I remembered what the eye doctor had told my wife. Reading glasses are cheap but boy are they a pain in the tail! One secret I found when trying to read small print is to add light to the subject, so I try to have a flashlight on me. I bought that light and I was so impressed I decided to do a little video about it for others who might like a powerful, convenient but inexpensive flashlight. And, since some of us are skeptical of anything offered as “free” I thought a video review might put you at ease about it.